I’ve dropped enough phones over the years that I’m a big fan of “extreme cases” like the ones that Dave wrote about a few days ago. 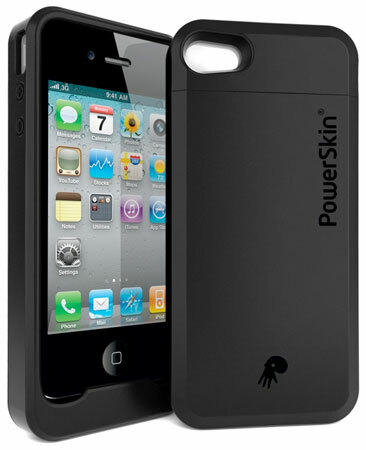 But if you don’t need quite as much protection, and want extra power, you might want to look into the PowerSkin case for the iPhone 4(s aapl), which the manufacturer recently sent me to try out. PowerSkin offers a protective flexible case made of 100 percent recycled silicone rubber, but it trades the internal hard plastic shell of extreme cases for an external battery. The outer case is similar to that of the Otterbox and Ballistic cases, but the PowerSkin case doesn’t include any covering for the screen; I recommend that you get a separate screen protector. The PowerSkin’s case also doesn’t overlaps the edge of the screen very much. The added power is definitely nice, though. The manufacturer says that the 1500mAh battery can provide up to 480 hours of talk time and 350 hours on standby beyond the phone’s built-in capacity. The case allows for both charging and syncing with the provided cable. There are LEDs on the bottom of the case that show the battery’s status. Not surprisingly, charging time is increased because it’s necessary to charge both the phone itself and the external battery. The case charges the internal phone battery first, then the external battery, which makes sense if you don’t have time to give both batteries a full charge. But once both are charged, of course, you’ll have access to a lot more phone time. Not surprisingly, the whole assemblage is thicker (0.77 inches) and heavier (around 3 oz.) than most cases, although it’s still pretty comfortable to hold and use. If you need the extra battery capacity, and are willing to live with slightly less protection for your iPhone 4, the PowerSkin is worth looking into. Models for HTC, Samsung and Motorola (s mmi) phones are also available. At present, the manufacturer’s web store is offline, but it is selling its products through a number online retailers; prices vary. How do you protect and power your iPhone? 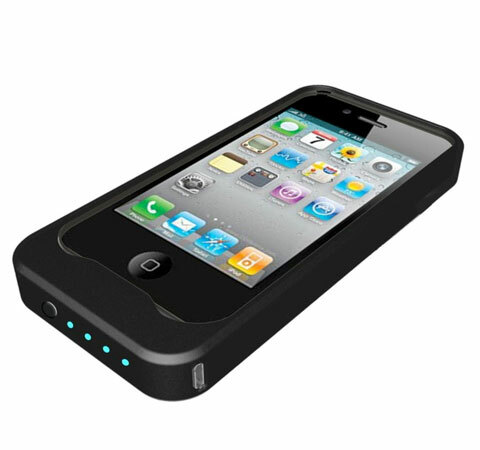 A clarification: The battery in the iPhone 4 version of the case is rated at 2000 mAh, providing 480 minutes of talk time and 350 hours of standby time. PowerSkin cases for other phones are rated at 1500 mAh. you mean 480minutes and 350hours? because it’s impossible to have 480 hours of talk time unless you’re on a power outlet and leave your phone on until you die from sleep deprivation.